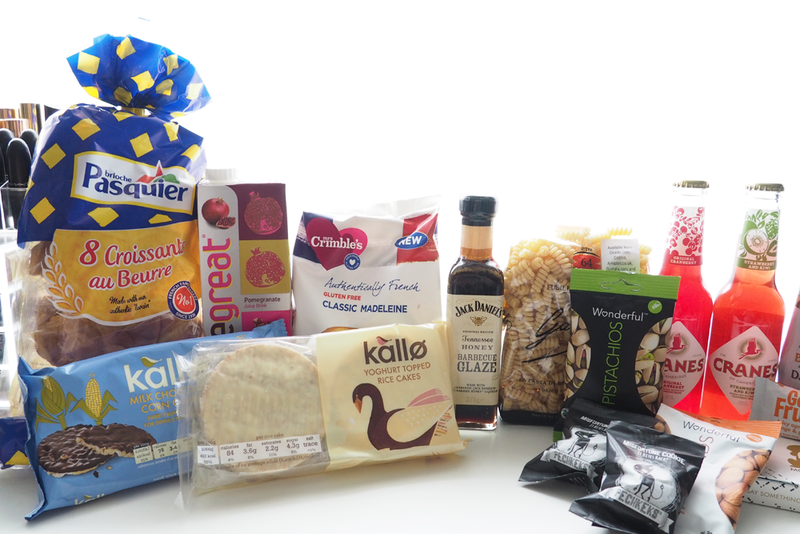 This is my third Degustabox* (the first and second ones are here) and after being really impressed with the previous two months, it was keen to get this one open and see what was inside. It's getting even closer to summer and that means wanting something refreshing to cool you down on a hot day. The Cranes (£1.90) bottles that I received were the perfect choice, and went down a treat when I took them camping over the bank holiday. I had the original cranberry and strawberry & kiwi flavours, with both being very light and easy to drink. They are 4% alcohol so are similar to a number of ciders or alcopops, so if you like fruity flavours of these, you will be sure to enjoy these cranes. The other drink included in this months Degustabox was a carton of Pomegreat (£1.49), which is a sweet and flavourful fruit juice. I've not really tried pomegranate juice before but was pleasantly surprised with the refreshing taste, again perfect for the summer months. 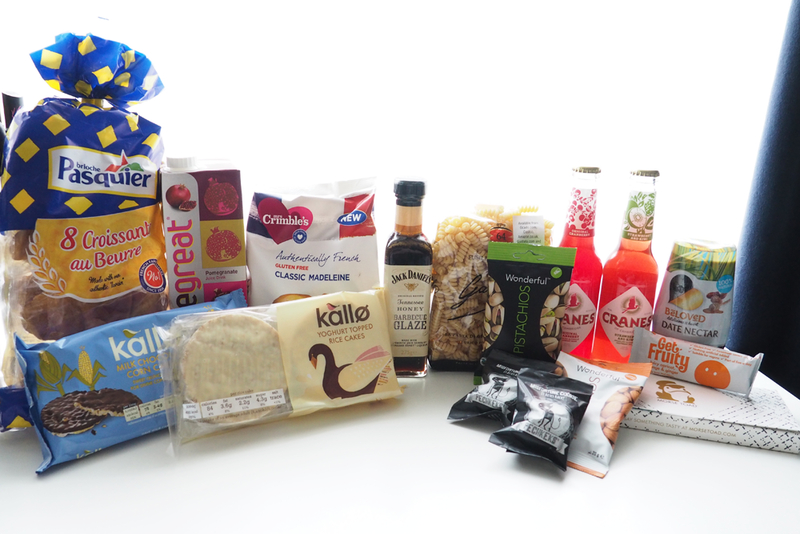 The item that really stood out to me in this May Degustabox was the Jack Daniel's Tennessee Honey Barbecue Glaze (£1.99). I've tried the original Jack Daniel's sauce before and it was absolutely amazing, so this honey barbecue version is set to be something special. I'm planning to make pulled chicken burgers cooked in the glaze, and have full intentions to buy this in the future if it goes down well, which I'm sure it will. The next item I got was the Garofalo Fusilli Bucati Corti (£1.99) which is described as 'premium taste and texture'. I did wonder whether I'd be able to tell, but I was pleased to notice a subtle difference compared to other brands I've had in the past. The Brioche Pasquier All Butter Croissants (£1.80) were another item I took camping with me and they came in very useful. Each of the croissants are wrapped in two's, making them handy to grab on the go. They are free from preservatives, hydrogenated fats and artificial colours, and you can still tell they are fresh when you get them out the packet. They were a nice little sweet breakfast item, and were perfect to take camping, however I could definitely see myself warming them up in the oven and enjoying with some jam. Something for a mid-morning treat such as the Kallo Belgian Milk Chocolate Corn Cakes (£1.29) were greatly appreciated as they are perfect to satisfy a chocolate craving guilt free at only 78 calories per cake. They are suitable for both vegetarians and coeliacs which is great as it provides more low calorie options. There was also the Kallo Yoghurt Coated Rice Cakes (£1.69) which are great as an alternative to a biscuit and would be ideal to take out as a sweet snack. The Beloved Dates (£3.50) wouldn't be something I'd usually buy, and I was a little unsure of what to do with them at first. After a quick search I soon realised that it would be perfect to go into a sticky toffee pudding. The date nectar is gluten, wheat and dairy free and is made from 100% pure dates, plus the fact it's in a squeezy bottle makes it ideal for adding into my baking. 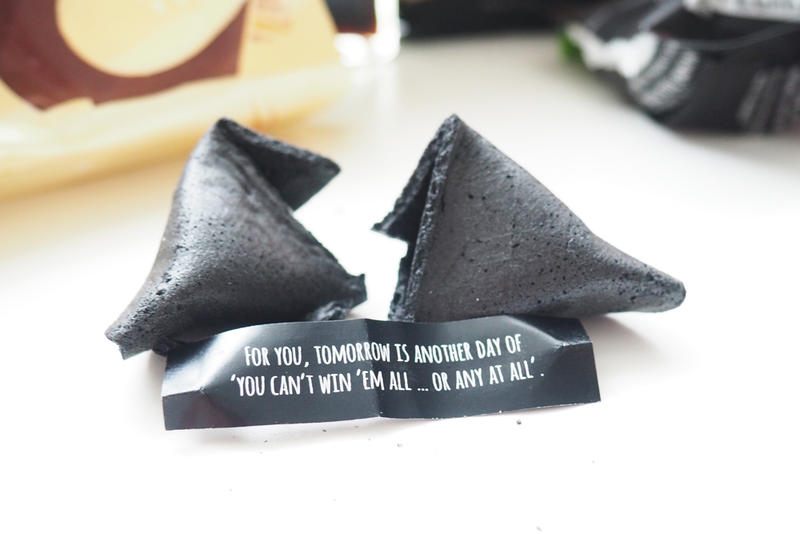 The Pechkeks Fortune Cookies (£1.00) were the most quirky product I've seen in all of the boxes I've had. I love a good fortune cookie, so these black cookies we something a little different to the normal ones, and I could definitely see myself buying them for Halloween. They also contain 'black humour' in their misfortunes, which provides a fun element to them. The Mrs Crimbles Classic Madeline Cakes were gluten free and individually wrapped and tasted like the ones you tend to get when you go abroad. Next on the list was the Get Fruity (£1.00) which is an award-winning fruit and oat bar that is 100% natural and gluten free. This is a perfect healthy snack to give that extra bit of energy through the day. 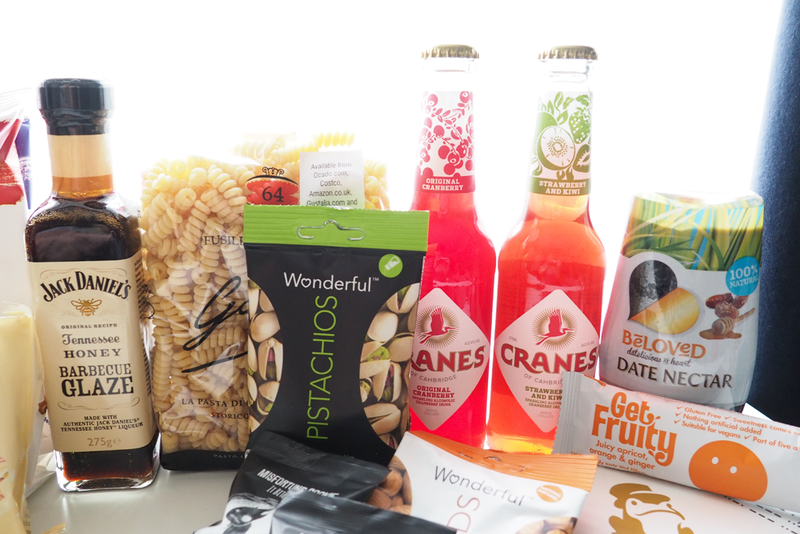 The Wonderful Company Almonds (£0.90) and Pistachios (£0.90) are sun ripened in California and provide great taste. The almonds have a sweet but mild flavour and are perfect for cooking or snacking on. I love snacking on Pistachios so was really happy when I saw these, especially seen as it was a handy packet to take out. As an little extra to what was in the May Degustabox, I received a Morse Toad Chocolate. As you can see this came as individual chunks with letters on with a little message from Degustabox. 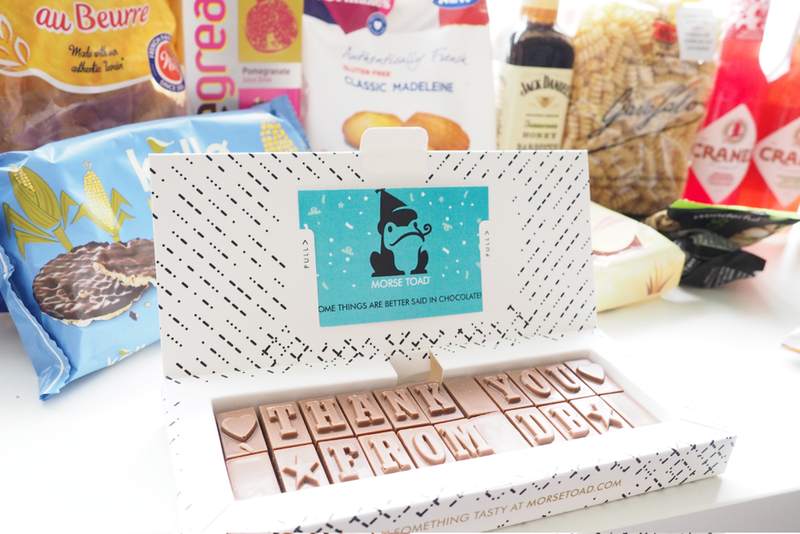 I love the idea of this as you can personalise chocolate to send to someone. Being in small chunks also mean you can just pick at it in any amount you want, so even if you just fancied the tiniest bit it's great. When it comes to chocolate I usually stick with my favourite brands, however after tasting this from Morse Toad, I would definitely go out and buy some as I really enjoyed the taste. 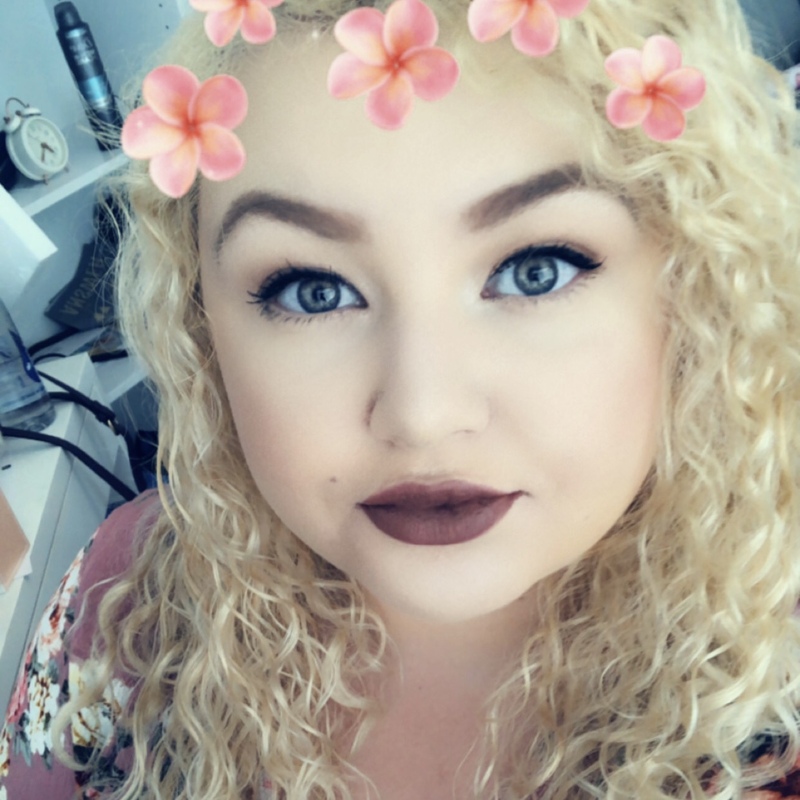 Degustabox have provided me with a discount code for my readers to get £6.00 off your order, all you have to do is enter BLDEG15 at the checkout! *This contains a PR sample.